It all started with one man and a noble mission. Roy L. Napps wanted people in North Texas to be comfortable, so Roy Napps Air Conditioning was founded in 1957. With its goal to help more customers in Texas, it was later incorporated as Napps Industries, Inc.
What Mr. Napps started has continued up until today. 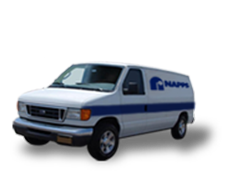 Since 1975, Eddie G. Napps, Roy’s son has owned and operated Napps Heating, Air Conditioning and Plumbing. Things have changed- we have acquired more staff members, we have expanded our product lines, and service areas, but our original goal has not changed. 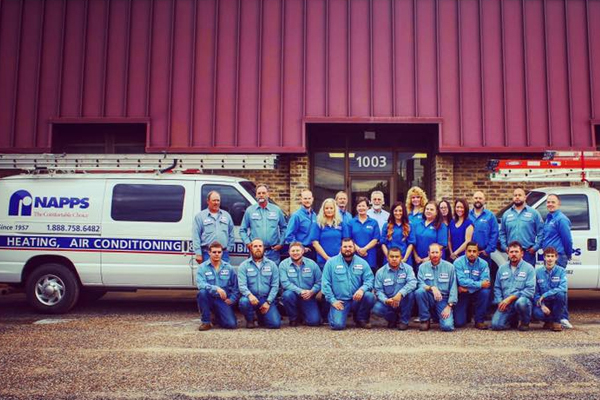 Our mission is still to take care of your HVAC/R needs and ensure your comfort. At Napps Heating and Air Conditioning, we offer a wide range of residential, commercial, and industrial HVAC/R solutions throughout North East Texas. Whether you need engineering designs, unit installation, repair, or maintenance of your HVAC systems, we have got you covered. We also specialize in fabricating sheet metal ducts and facilitating installations. Napps believed that its services should not just end in HVAC/R. That’s why in early 2012, the company successfully launched a fully staffed plumbing division catering to the different plumbing issues customers’ can potentially experience. At present, NAPPS provides complete solutions for residential, commercial and industrial HVAC, sheet metal fabrication and plumbing projects. Our base of operation is located on Cotton Street in Longview, Texas in a 23,000 square foot facility. What’s included in Our Facility?